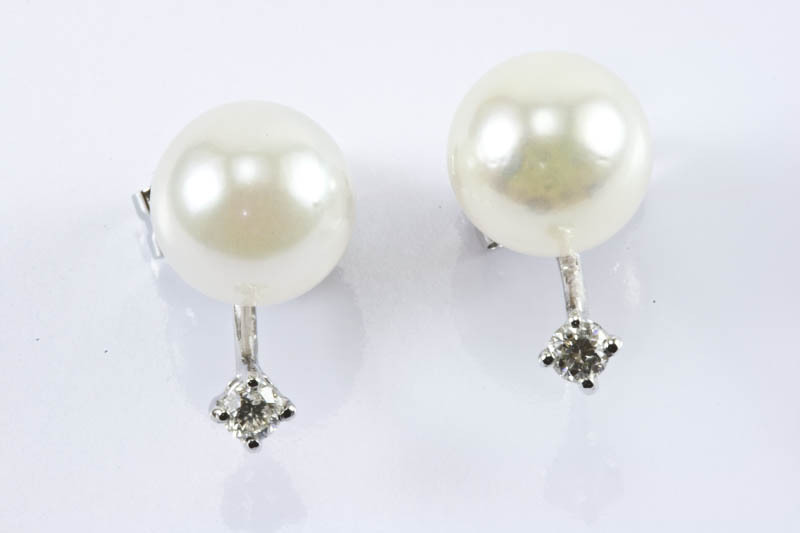 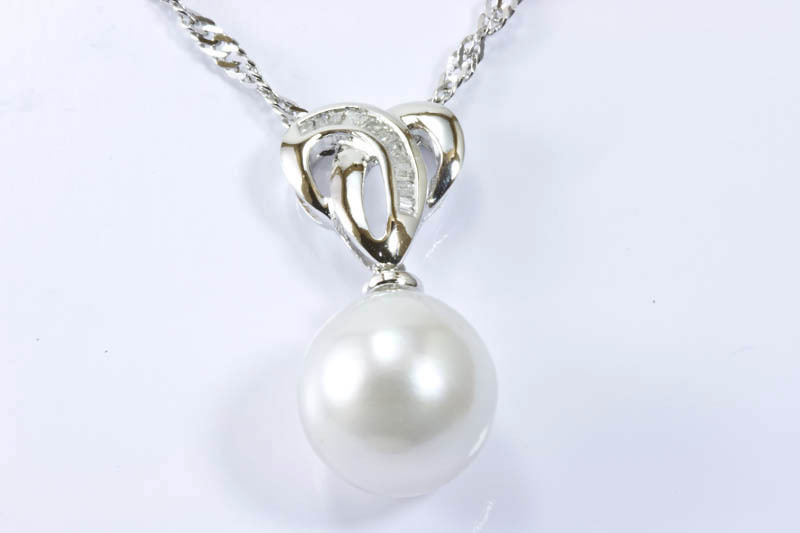 Take a look of our new collection(Pearl & Silver Collection).All our sterling silvers are 18k white gold filled. 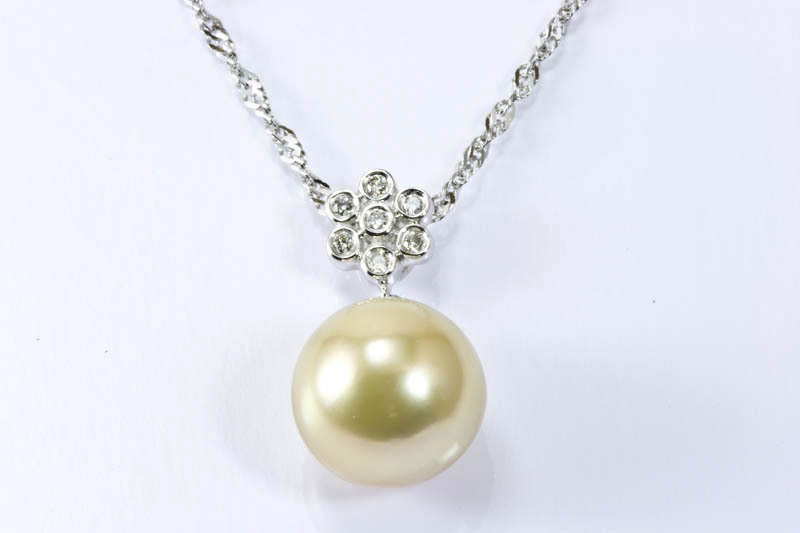 (Gold filled means gold-plated at least 20 times). 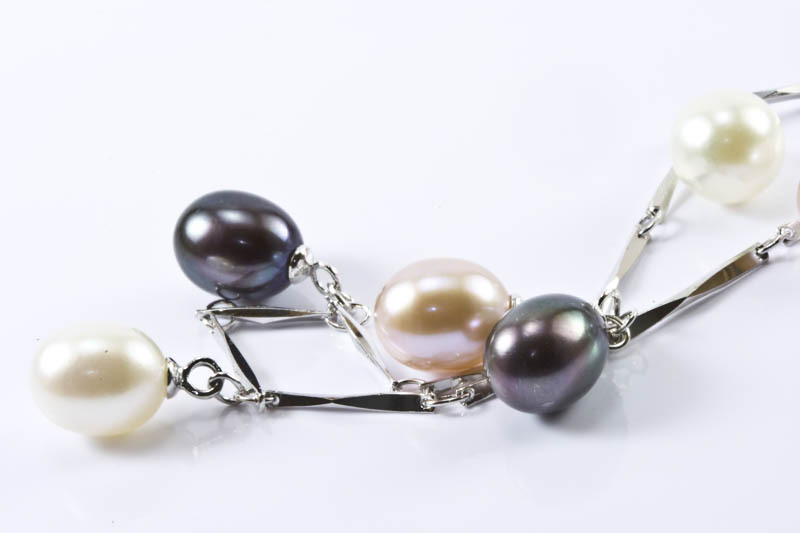 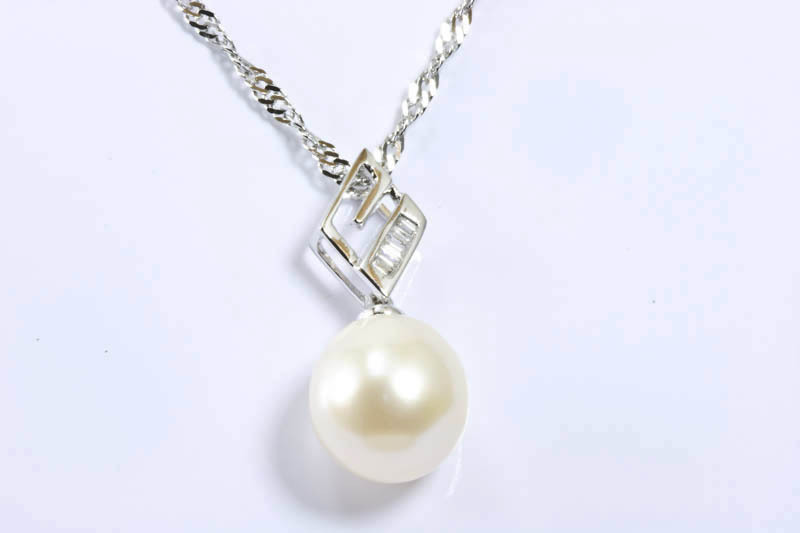 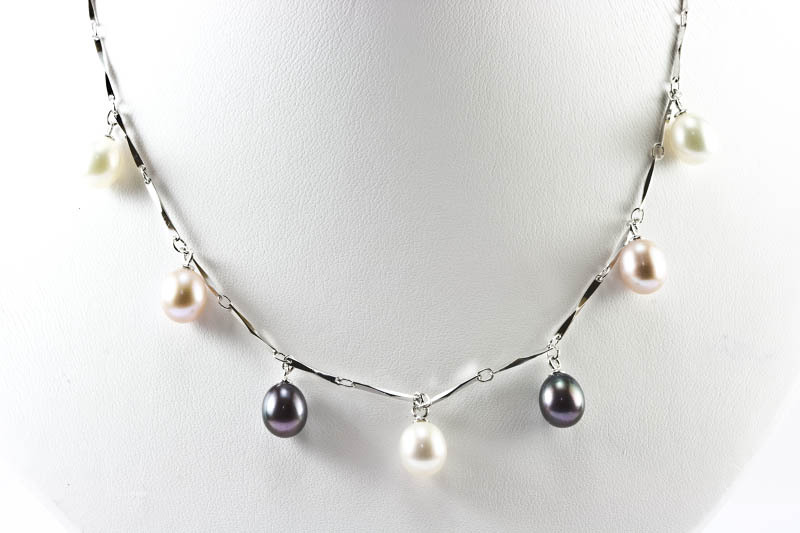 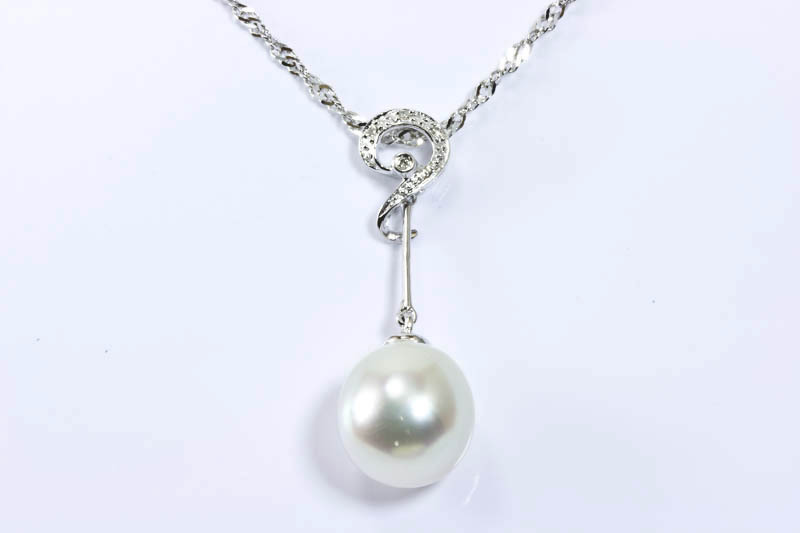 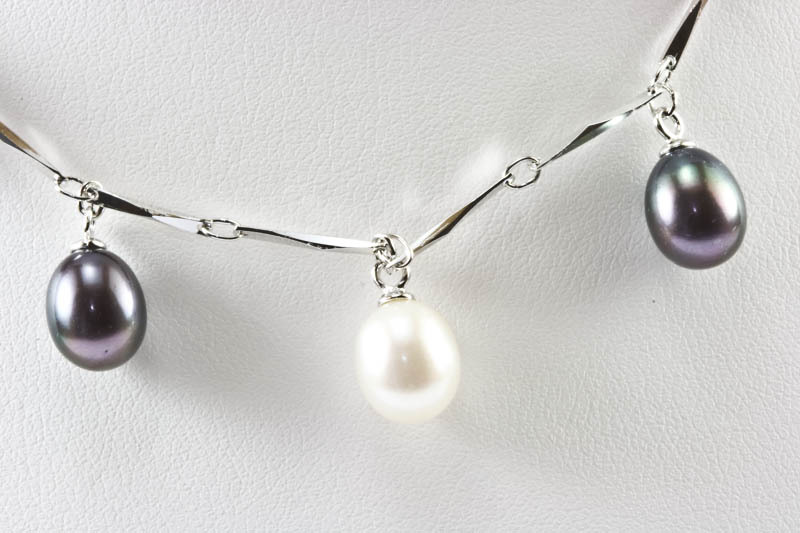 This unique white pearl necklace is sure to thrill. 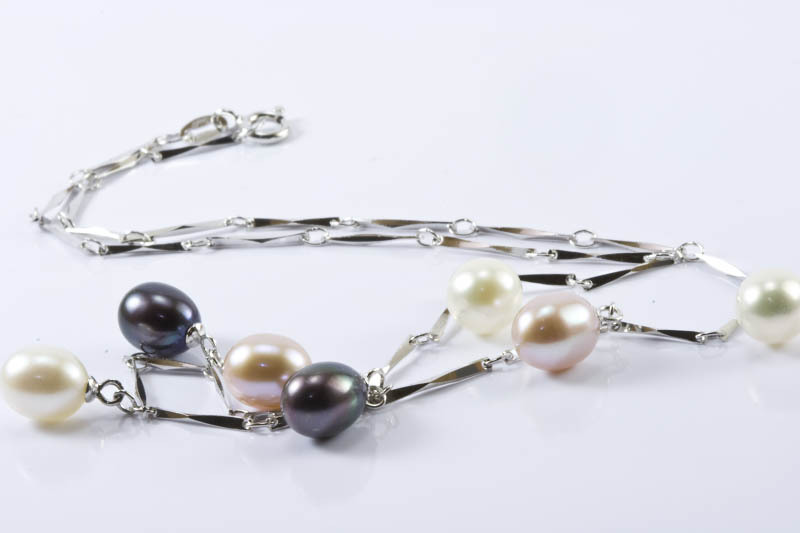 Seven large 8x9.5mm multi color(white,black,peach) drop freshwater pearls of AAAA quality are suspended from a 16" sterling silver chain.